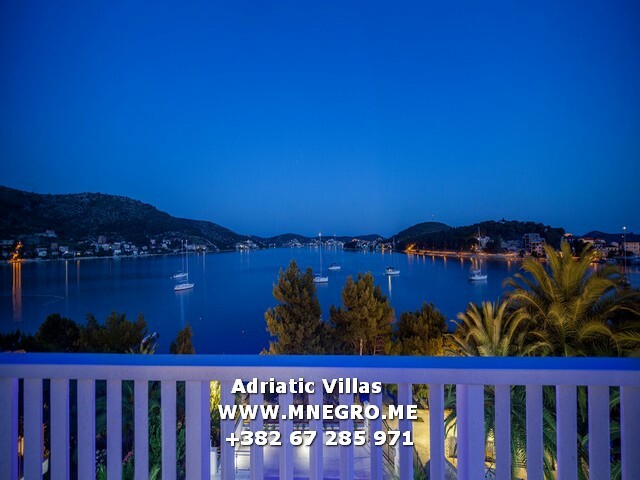 CRO442 VIP Beach Villa | MONTENEGRO Villas 2019 rental UNIQUE Vacation for You !!! 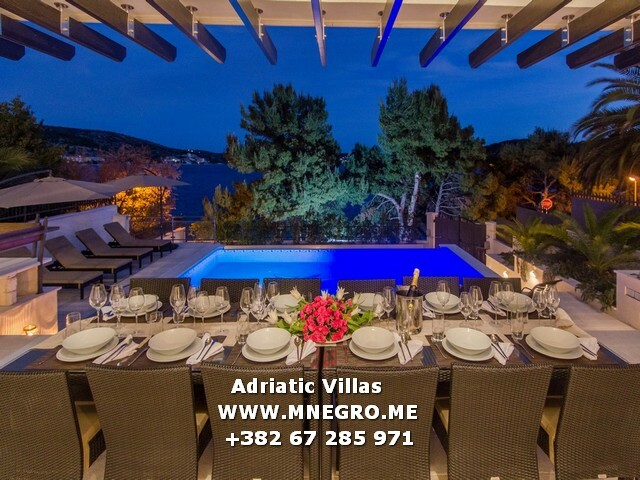 CRO442 VIP Beach Villa – MONTENEGRO Villas 2019 rental UNIQUE Vacation for You !!! 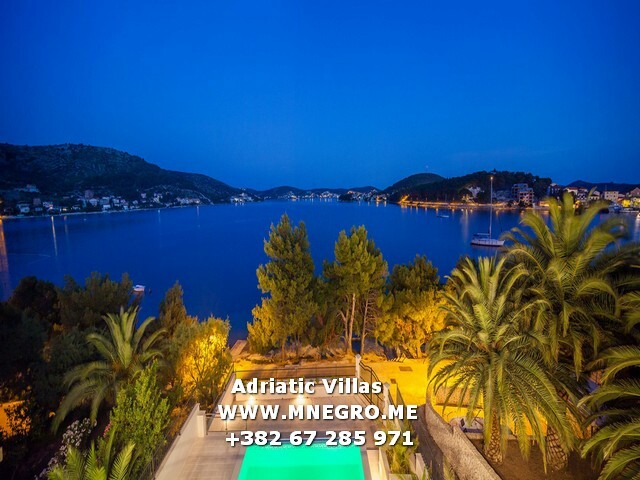 This amazing luxury villa with pool is located in peaceful part of Rogoznica CROATIA right in front of the sea, thus it provides relaxing and peaceful holidays in luxury. 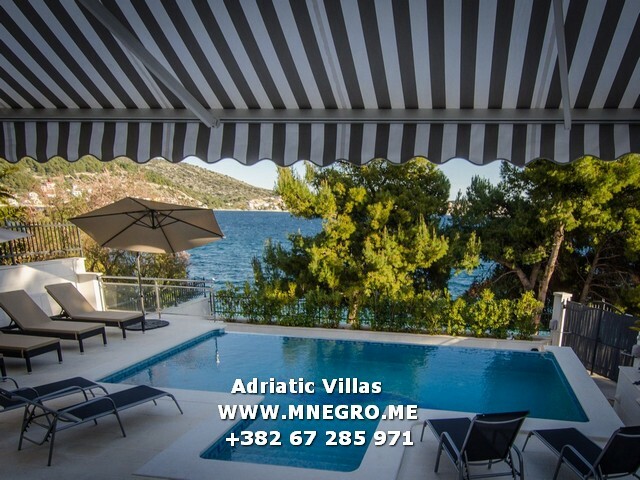 In front is a large yard from where you may enjoy sea view enriched by sea breeze, large swimming pool with heating possibility, and traditional stone barbecue /grill under the roofed part of terrace together with dining area. Inside, villa is set up on 4 floors; basement, ground floor, first floor, and top floor. In 520 square meters of inside living area are fully equipped kitchen, dining area, spacious living room, 7 bedrooms, 7 bathrooms, office room, sauna, fitness, pool table, and children’s playroom. This large villa easily accommodates 14 people. In the basement are two bedrooms, each with en-suite bathroom. Near is storage room with washing machine and dryer. There is also large sauna room with 7 seats and power shower. Next is large area with fitness equipment, pool table, and children’s playroom. Large, fully equipped kitchen with extensive part that may be used as staff eating area is at the ground floor. Right next spacious dining and living area are opened onto pool terrace and outdoor dining area with traditional stone barbecue. Living room is equipped with LCD SAT TV, indoor fireplace, and large corner sofa. Near is one separate room with office table and chair, perfect for people who have to be connected to their work during the holidays. Ground floor has one double bedroom with bathroom. Up to the stairs are 3 bedrooms, each with en suite bathroom and exit to the balcony 7 terrace that offers amazing sea and nature view. This floor has another dining and living area together with kitchenette which is opened onto large terrace with stunning sea view. Next is one bedroom with en-suite bathroom and terrace that offers panoramic sea view. Entire villas is covered with central heating system and central air condition system, as well as covered with free Wi-Fi Internet access.